The kids are back to school/ kindergarten this morning. They left in a torrential down pour, kitted in rain gear and armed with umbrellas. 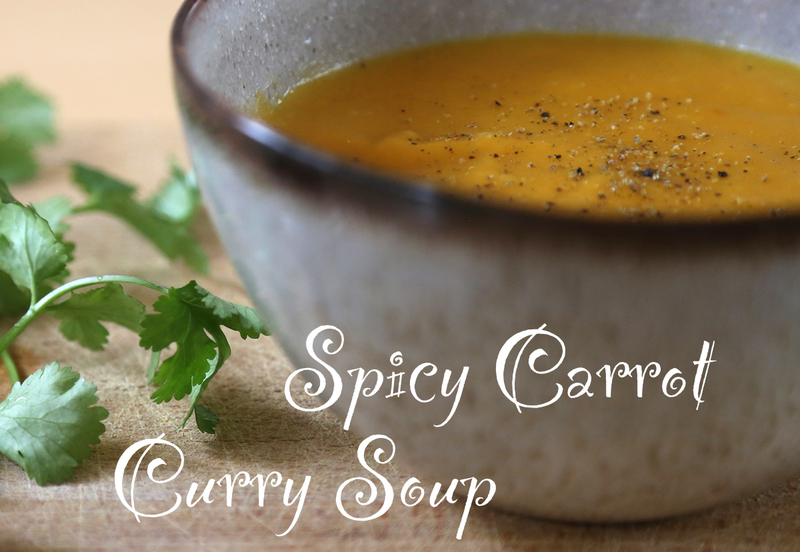 It’s still pouring with rain, so I reckon their going to need warming up at lunch time and what better way than with a spicy soup…. Chop up the carrots, potatoes, onions and grate the ginger. Fry the onions for until they soften, throw in the vegetables. Pour in the water and add the spices, sugar and seasoning. Leave to simmer for about half an hour then purée. If it is too spicy, you can always mix in some coconut milk or a dollop of cream. It looks delicious ! The photos are so good I can almost taste it ! Lovely soup bowl! Soup looks deliciously warming too. Think I’ll make some today. A lovely simple soup. I will be trying this one soon. This looks yummy, and all of your photos are amazing; I’m inspired! Thanks for checking out my attempt at blogging! That looks amazing and so simple. I think I found my next soup. Looks very tasty 😉 Thanks! 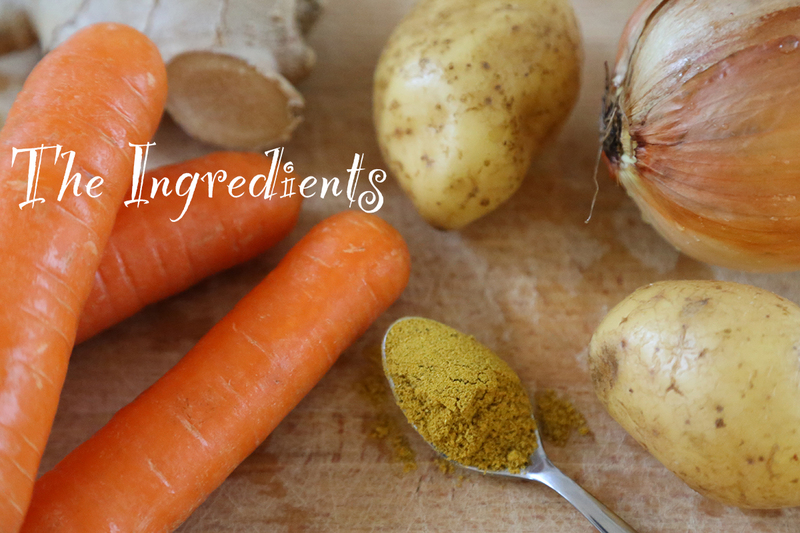 As I have just inherited what seems like a mountain of carrots this recipe has arrived just in time. Thank you very much. Wow! Looks delicious. So glad Winter is arriving in Australia so I can give this a go!